This brochure was for an award winning retail and office building on Kings Road, London with offers invited in excess of £35.8 million. The illustration of the property on the cover wasn’t printed, but was spot UV varnished. 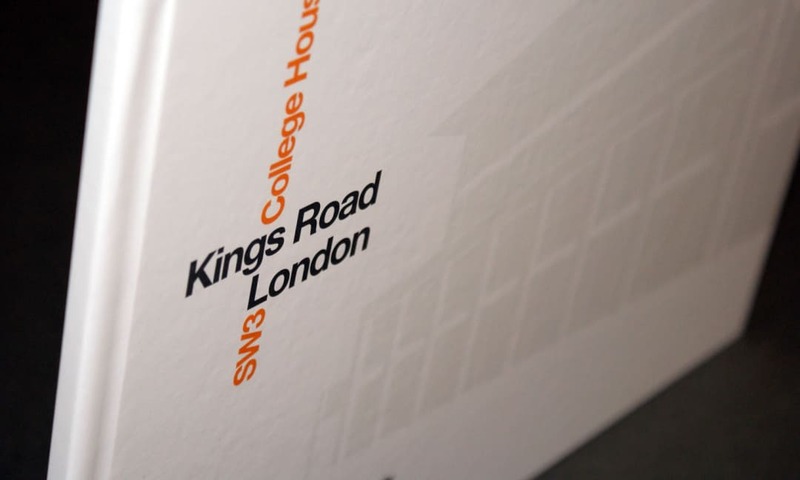 Combined with high quality paper and finishes, the brochure reflected the quality of the investment in the heart of Chelsea. The building is located on the Kings Road within the Royal Borough of Kinsington and Chelsea, one of Central London’s most affluent boroughs. The Kings Road is internationally recoginsed as a premier retail location and is one of the dominant retail sub markets within Central London providing a wide variety of retailers including both national miltiples and high end designer labels. The location is also popular with luxury home furnishing retailers which are well serviced by the resident population and those further afield.